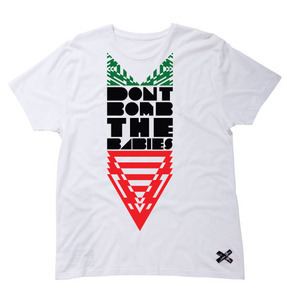 Just ordered this dope tee from Jamie Marx and proceeds go towards United Nations Relief and Works Agency to help take care of the young victims in Gaza, how cool is that! Matt from the site was very helpful answering my questions, and I come to find out he knows my dudes at BFS. I'm definitely going to be looking at their collection for more things to cop, looks sky high to me. They only got 2X's left, limited run so get one while you can. Check em out!